What’s an Advance Reader Team? The Advance Reader Team is a select group of readers who have volunteered to read and review advance copies of my new releases. A few weeks before release day, publishers send Advance Review Copies (ARCs) to select readers in exchange for an honest review of the book on Amazon.com. These reviews are critical in helping launch the book off the ground. Upsides of joining the team? You help other readers get a clearer sense of the new book. You make a difference in one author’s life. Since advance reviews are critical to the success of a newly launched book, the book needs to be read before the day of the release, and the review must be ready to be posted on Amazon.com on release day. 2. Email me at severbronny@gmail.com inquiring if you can join my Advance Review Team. Please include a copy/screenshot of your Amazon review (or simply include a link to it). This is to ensure that you have an Amazon account in good standing and are able to leave a review. 3. Join my newsletter as this is how you’ll know of upcoming releases and ARCs. I would like to be on your team. 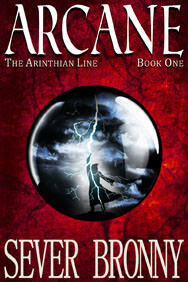 I first read Arcane through Amazon free. Was such enjoyment I purchased book 2 & 3. Valor is the only one I reviewed though. If you can believe it I am 68 year old retiree and love to read. I have been fortunate in that all kinds of people have enjoyed the series. I have just finished Arcane first book. A wonderful read. Such believable characters and a great plot. I look forward to reading the next in the series. Loved all five books! I just finished reading the series and I couldn’t put it down. I read all five books in a week and a half and I can say it was a great story and I’m hoping there is more to come! Thank you, Jacob, glad you enjoyed the series! And yes, there certainly will be more. I’m currently doing the prepwork for another trilogy involving the trio, which I’ll start writing within weeks. Please include me in your advanced reader team.I am your greatest fan. I read all of your books and I seriously liked them. I also wanted to ask if there will be another scion or a thing like that in the trilogy? Thank you. Hi! Glad you’re enjoying my work. Hello Mr. Bronny I have absolutely fallen In love with your Arinthian Line series. And I would like to be on your Advance Reader Team. P.S. I am a huge bookworm to the point where everyone including my teachers ask me for book recommendations and I have to say that I always say to read this series. I’d love to have you aboard. Please email me at severbronny@gmail.com and we’ll go from there. Hi, Leigh! I’d love to consider you. Did you have a chance to see the requirements above? 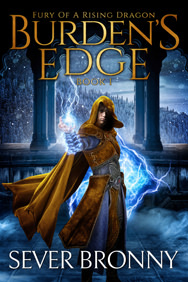 I loved the whole series, I read the whole series in about a month, and just finished Burdens Edge. I am waiting anxiously for the next book. I too am one of your older readers but can see where younger readers would enjoy them as well. I am trying to get my grandchildren into them. Keep them coming! If you still seek advanced release readers I would really love the honor. I love your books and I have read all of the hooks about Augum, but they are on my kindle under my Dad’s amazon account. Is that okay? Also thank you SOOOOOOOO much for not making Burden’s Edge not a short story. I love long books. These books are all such masterpieces. I cannot wait for more! I applied to be an advance reader. I’ve been waiting for Augum to summon a dragon since reading that the Orb of Orion could do so in myth. Also can’t wait to read more about Leyans and Ley. Such a unique world and complex set of characters. I am a thirteen years old and love to read. I am a massive bookworm and have read both of your series multiple times. I would love to be part of your advanced readers team. Hello Vasu! Please read through and follow the instructions listed above then email me. And make sure to get your parents’ permission to be on the team.